Damian Collins, a Conservative Party politician, is not satisfied with the world athletics supremo’s recent comments. WORLD ATHLETICS SUPREMO Sebastian Coe is to be asked to appear again before a British Parliamentary Committee after evidence they heard on Tuesday cast doubt on the credibility of his initial remarks to them, the chairman told AFP. David Bedford, a former 10,000 metres world record holder, confirmed to the Culture Media and Sports Committee on Tuesday he had sent Coe — when he was vice-president of the International Association of Athletics Federations (IAAF) — an email with an attachment in August 2014 which contained an explosive allegation. Andrei Baranov, the agent of Russian marathon runner Lilya Shobukhova, claimed she had been blackmailed by Russian and IAAF officials including Papa Missata Diack, the then IAAF president Lamine Diack’s son, to the tune of €450,000 (£356,000) over a failed dope test. Bedford — who had initially alerted the two-time Olympic champion to a potential problem with a phone call to him when he was on holiday in Switzerland earlier that August — admitted Coe is not renowned for replying to emails so he followed it up with text messages that also went unanswered. Coe claims he never opened the attachment and sent it on instead to the IAAF Ethics Commission — which Bedford had already done — and the first he knew of the allegations was in a German documentary in December 2014. Bedford confessed to being surprised at learning Coe had not opened the attachment but would not be coaxed when pressed by a member of the all-party Committee into saying his reaction was one of disbelief. However, Damian Collins, the chairman, said Bedford’s evidence had provided enough reason for Coe to be recalled and preferably to appear by the end of January. “Sebastian Coe’s testimony to us lacked credibility based on what Dave Bedford said today,” Collins told AFP. “Quite aside from the email, Bedford had spoken to him, he’d texted him and brought it up at a lunch that November (2014). “Throughout that entire period Coe had knowledge of the allegations. “He said to us he had no knowledge so we want to question him about the matter further, and why he didn’t open the documents,” added the 42-year-old Conservative Party lawmaker. 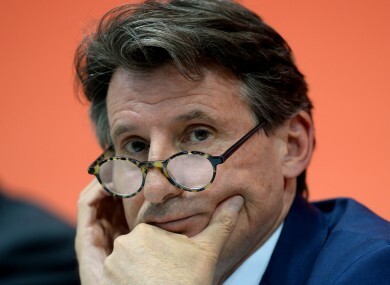 Coe, though, looks set to snub the committee as he released a statement through the IAAF after Bedford’s evidence to say he has “no further information he can provide to the inquiry”. However, Collins told AFP on hearing the news that Coe had plenty to divulge. “As we conclude our inquiry on doping in sport, there are understandably questions that arise for us about this, and in particular the level of knowledge that Lord Coe had about the serious allegations that had been made,” said Collins. Bedford, who said when asked he had no axe to grind with Coe as they enjoyed ‘friendly relations’, claimed his interpretation of Coe’s inaction at the time was he saw himself as the only saviour of athletics and in order to do that he had to keep his head down and beat rival Sergey Bubka in the election to succeed Diack in 2015. Coe duly swept to power in August 2015 in Beijing. Collins, though, does not accept that interpretation. “That is his (Bedford’s) interpretation,” said Collins. “But these are extremely serious allegations being made about officials from the sport’s governing body colluding to cover up dope tests. Collins, who is co-founder of the campaign group for Fifa reform New Fifa Now, said they cannot compel Coe to appear as he is a fellow parliamentarian (he is a former Conservative lawmaker himself who now sits in the un-elected chamber the House of Lords). However, Collins says these matters needed to be cleared up. “I think things cannot be left hanging where they are,” he said. “We need to know the extent of his knowledge and how he reacted to it. Email “Sebastian Coe's evidence 'lacked credibility'”. Feedback on “Sebastian Coe's evidence 'lacked credibility'”.